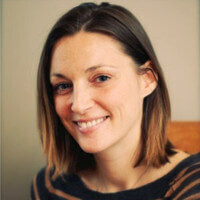 Vikki Knowles is publisher of the Susty Girl blog and contributor to Collectively, among other sites. 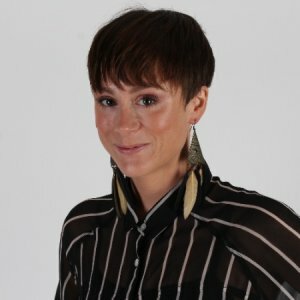 She writes about sustainable business and ethical living, covering anything from upcycled jeans and tasty vegan food to the latest in clean tech and jargon-busting climate change. She loves anything girl-power, diversity-embracing, creativity (and all its processes), spirituality and happy living. Before moving to Bristol and embarking on her freelance career, Vikki was content editor at 2degrees. A true #millennial, Vikki has already written one novel, and has plans to write another. She would love to see the headline, ‘Gen Y / millennials – and Gen Z – are propelling a good money revolution,’ so would we, Vikki, so would we! Maybe a six? My energy provider is Ecotricity, so our energy bills fund new renewable projects. Although I don’t buy Bristol Pound, I do like the idea of the scheme (using local currency to invest in the community) – I already buy my veg from an organic farm on the fringes of Bristol, my bread from a bakery a few miles away and often buy coffee from indie cafes that source it locally too. In fact, it seems like the perfect time to buy some! I’ve also heard that Good Energy accepts Bristol Pound, which is awesome. Hope Ecotricity follows suit. The main reason I’ve scored myself pretty low is because I bank with not one, but two of the Big 6 banks. But I’m definitely looking into switching to a ‘good’ account like the Co-operative Bank – especially after chatting with the Good Money girls! The £150 incentive for switching certainly does no harm either. When I have a more lucrative month freelancing, I save the biggest chunk possible towards a house deposit – and live pretty frugally – even though I’m not totally certain about buying yet. I’ve also considered using some of that money to invest in ‘good’ projects on platforms like Abundance. Ask me again in a year and my good money rating might have skyrocketed! That said, I’m going to be in some serious s**t if I don’t start soon, I imagine. So that’s on my list. Not sure if this counts as a ‘provider’ but I’m loving the idea of the MoneyBox app you flagged to me on Twitter. It’s so refreshing to read communications that are relevant to the financial situation of my generation, and the idea of saving via an app seems pretty cool (and helpful). You know what I would also love to see? On mainstream comparison sites like GoCompare or MoneySupermarket having that extra column which details the ethical credentials of that company or policy. I wonder if it would make a difference on people’s choices? (“watch this space” – ed). Basically any provider that invests in fossil fuels, arms or anything else really that isn’t good for the future of humanity. I think the ‘hoisting’ will arrive when conscious consumers start moving their money elsewhere and the provider’s investors get a bit antsy…! If we’re speaking generally, then sometimes not raking it in and being sustainable go hand in hand…! For example, I don’t have a car (not that I need one, living in the city centre) and I also buy maybe 80% of my clothes from charity shops or secondhand on eBay. I can no longer sleep at night shopping at fast fashion stores – not after all that’s come to light about the reality of the industry. Vegetarianism is also a good one. I forget how expensive meat and fish can be (especially if its raised compassionately) so you can cook some very nutritious and wholesome meals on a budget if you’re a veggie. On the other hand, buying organic and ethically produced food can be expensive. There are various debates about whether it’s actually healthier for you but a big part of it is investing in the planet and the little nutritious soil we have left, and if that costs more for now, I’m willing to pay it. There are some amazing organic farms near Bristol that tap into some of the highest quality soil in the country, so why wouldn’t you want to invest in that? And it tastes good, too. Jen Gale already suggested banks divesting from fossil fuels, that would be amazing! Another one could be that Gen Y (and even Gen Z) are propelling a good money revolution. We’re already concerned about sustainability and climate change, so it wouldn’t surprise me.